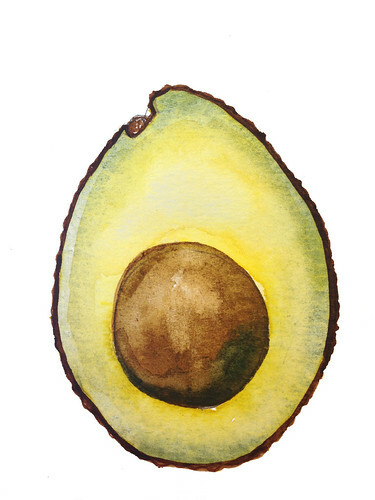 I’ve started painting watercolor postcards for every season, and this summer I’ve been painting avocados. 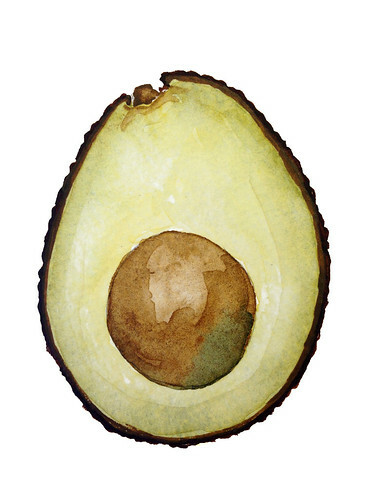 As I sketched and then painted the foundational washes, the model avocado gradually browned so that even as I began to really understand each nuance of color and texture, those colors and textures were themselves changing. I took a photo of the avocado to serve as reference for painting subsequent layers over the next days, and then I chopped it up and ate it. Previous PostSummer Vacation: Palm Springs in JulyNext PostYES! We made a sign!